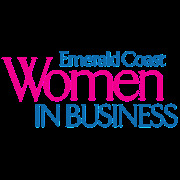 Debby McKinney and Cynthia Kennedy, Co-Founders of Emerald Coast Women in Business / Destin / welcome you! Emerald Coast Women in Business help enrich women entrepreneurs, sales professionals and women of starting a business in leveraging their potential so they thrive in business and in life. Women do business differently than men. SIMPLE OPTIMUM HEALTH is a wellness co that develops signature products of full spectrum hemp - cbd and terpene blend honey stick as well as granola bites and teas that are hand crafted in small batches. SIMPLE OPTIMUM HEALTH goes above and beyond in this self regulated industry standards - seed to sale. ? 3rd party testing ? Anything else? Optimum Health, LLC was founded by Tina Williams and Debby (with a Y) McKinney - 2 women driven by overcoming life threatening health challenges that threatened themselves and their families. Led to mission to help people who want simple optimum health that is packable, portable, and affordable wellness solutions.